Microsoft Office for iOs is now available for download.An Office 365 subscription is required to use this app.This app is compatible with iPhone 4, 4S, and 5, iPod Touch 5th Generation and iOS 6.1 or later. 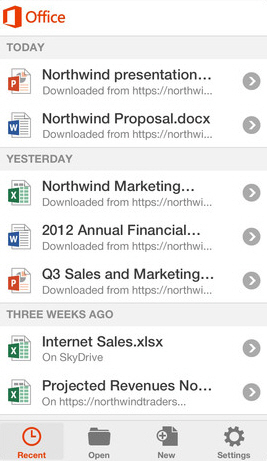 access Office documents that are stored on SkyDrive, SkyDrive Pro, or SharePoint. documents recently viewed on your computer are readily available on your phone.